A landlord is faced by a constant worry when renting out their property, and that is due to property damage by the tenant. Although, the security deposit you take when renting out the property may be enough to cover the damage, it is important to know the recourse after damage, and how to make repairs. 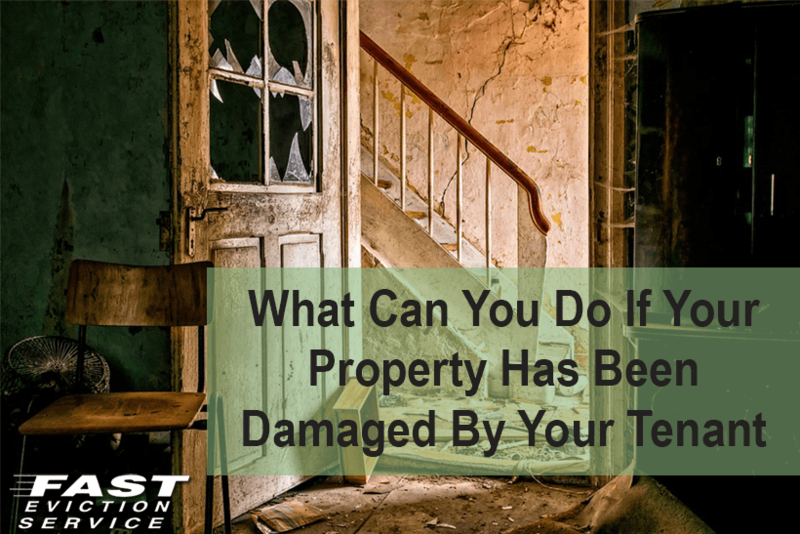 What can you do if a tenant has damaged your property? As a landlord you must know what your property already lacks or what has been affected due to the normal process of wear and tear. Wear and tear includes things like stripped or faded paint, broken switches and so on. Usually tenants do not mind wear and tear when they start living in a rented place but wear and tear items are required to be fixed and replaced by the landlord. Also to ensure that a tenant does not include any damage caused by them as wear and tear already existing, you should know about your property and keep track of damages. Damages to the property, which could include, dirt build up, broken windows, walls in the hole are responsibilities of the tenant, and they should ensure that they pay for these damages or get them fixed. How Can You Ensure Prevention of Damage? Before renting out the property, make sure the tenant understands and agrees to the terms of the contract and their responsibilities outlines therein. Remind the tenant of the purpose of the security deposit and how you will use it. Be clear about the lease agreements and walk through about the repercussions of damage caused by the tenant. When you show the property around to a prospective tenant you have decided to close the deal with, verify the current condition of the property with the tenant and outline areas which need extra care. Inexperienced tenants who have not lived in a rental property before may not be aware of maintenance practices. As a landlord whose focus is to protect their property, guide them and let them know of their responsibilities and what they need to do to ensure complete protection of the property and keep everything in good condition. What To Do After Damage Has Occurred? When you receive word from the tenant that damage has occurred, provide them with the contact information of a reputable person whom you know can fix it, if the repair is a small one. If the tenant has not informed you on their own about the damage and you have discovered it on your own, remind the tenant of their responsibility and ask how the damage occurred. Offer suggestions and provide a referral of the repair person if possible. If you are getting the damage fixed on your own, send the bill to the tenant and make sure that they pay. It is okay if a minor damage has occurred once or twice but if it becomes repetitive, you may want to reconsider the agreement with the current tenant. Also, if your tenant takes responsibility of the damage that they cause and fix it out of their pocket, there are chances that you need not worry a lot about your tenant. The problem will be when a tenant has caused damage and does not agree to it or to get it repaired. If you send a bill to the tenant of the damage, you get fixed on their behalf, set a date by which they should make the payment. If they cannot make the payment all at once, make a schedule of payment. Remember that dealing with damages is never pleasant and if a tenant is becoming difficult to deal with when they have caused the damage, you can give them a notice.